The Caribbean theme party hire is a great relaxed theme night ideal to bring out the memories of great summer holidays in the sun. with the unpredictability of the British weather why not bring a little sun to your party. The ”Caribbean theme party hire” is one of our favourites. You have the steel band playing as guests arrive, the African dance troupe can put on a show and don’t forget the limbo dancing display and competition which guests can get involved in. with the Caribbean theme party hire we will supply all the Caribbean backdrops of sunny beaches and the miles of sandy views, we have all the Caribbean theme props from palm trees to anchor boards, we even have Caribbean style statues. 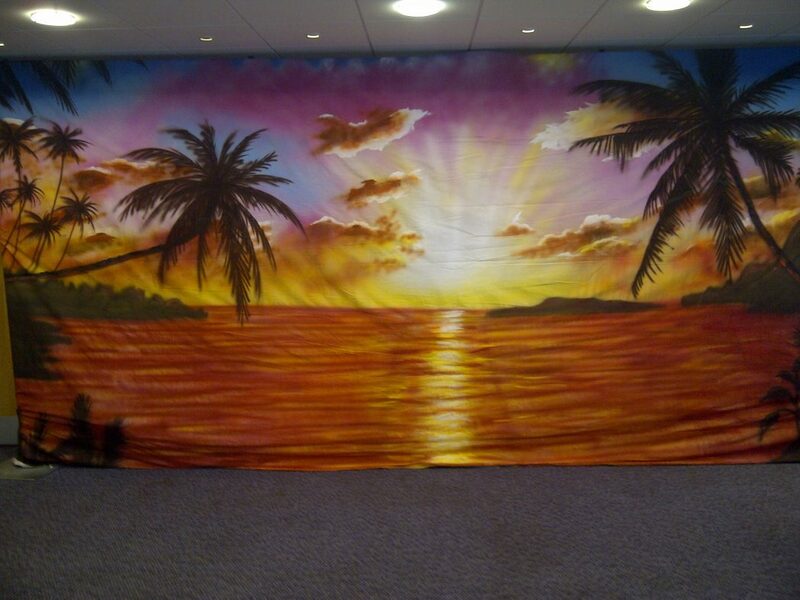 For a beach party theme or a Caribbean party theme we have all the best backdrops and props. The Caribbean themed party celebrates everything great about these islands. The beach party theme night has all the best games and entertainers. Our beach party theme nights are some of the most popular theme parties around. For a Caribbean Beach Party with a difference give us a call. The Caribbean party theme is a great celebration. We hire caribbean theme party fun throughout the UK. When you hire caribbean theme parties you put on a night all your guests will remember. We hire caribbean theme nights to a wide range of clients. When you hire beach party theme fun you get the best of the entertainers we have available. You can hire beach party theme nights any time of the year. We hire beach party props and backdrops. Go on, hire caribbean beach party theme fun. With the Caribbean theme party hire there are a great many mix and mingle acts we vcan use to enhance the theme, from the lobsters on stilts to the slammer girls and their shots of rum, we will have a great selection. We also have all the themed fun interactive games when you hire Caribbean theme parties. We have the surf simulator, the coconut shy, the limbo poles and of course the aquajet arcade style jet ski simulator. The Caribbean theme party is one of the most relaxed and popular theme nights we put on and we can supply Caribbean theme party packages to suit any sized venue. We hire the theme parties throughout the UK and have a wide range of other themes also. The Caribbean theme party hire is one of the best around.